Penrith has joined over 30 metropolitan councils, government organisations, businesses, and community leaders to launch ‘The Sydney Resilience Strategy,’ a comprehensive plan to build resilience and future-proof Sydney, its suburbs and the region. Penrith Mayor John Thain said the launch of the strategy provides a guiding framework for Penrith’s own Resilience Committee. “The Resilience Committee was established to make the most of Penrith’s participation in the Resilient Sydney project and plays a key role in shaping and future-proofing our City,” said Cr Thain. “The Committee investigates how we respond to risks that can affect our City and how Council can integrate resilience within our activities and decision-making. “The launch of the strategy gives us the opportunity to take the learnings and the outcomes from the Resilient Sydney project and apply them in our local context, with the input and expertise of our community and our councillors. 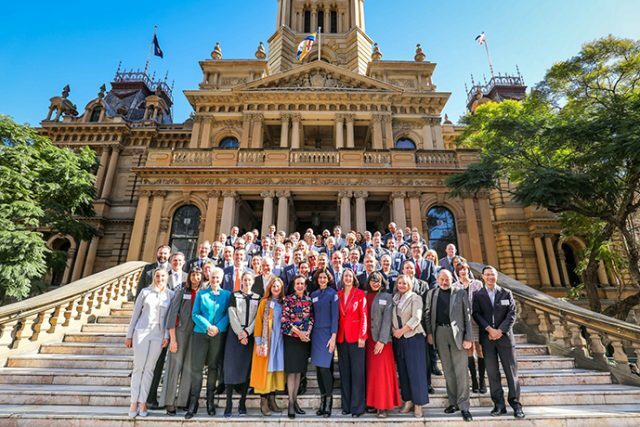 “Council’s sustainability initiatives, which are key to building our City’s resilience, are already making waves, with our Cooling the City Strategy taking home a winner’s medal at the recent Greater Sydney Commission Planning Awards.